(5:53 p.m. EDT) -- As part of Holland America Line's extended 2019 cruise season in the Mexican Riviera, the line will offer new Mexican-themed activities onboard under the brand's EXC Encounters program. Throughout the 22 Mexican Riviera voyages during 2019, EXC (which stands for Explorations Central) will "bring Mexico's local traditions, culinary tastes and cultural experiences to life onboard," according to a news release. For example, a mariachi band in will perform around the ship; a barbecue on the lido deck will feature authentic Mexican dishes; and passengers who want to become better immersed in the region can attend an EXC Talk or head to America's Test Kitchen for a themed cooking or mixology class. For an even more in-depth destination experience, Holland America's EXC Team can provide customized itineraries for its calls in Mexico, and the in-cabin EXC Channel will feature a selection of films, documentaries and TV programs that showcase the destinations on the ship's itinerary. From January through December 2019, Eurodam, Nieuw Amsterdam and Oosterdam will embark on a series of seven- and 11-night Mexico cruises sailing roundtrip from San Diego, including calls at Mazatlan, Cabo San Lucas and Puerto Vallarta. "Mexico cruises are among our most popular because they are perfect for a traveler who wants both a sun- and beach-filled itinerary along with a culturally rich destination wrapped into one vacation," said Orlando Ashford, president of Holland America Line, in a news release. 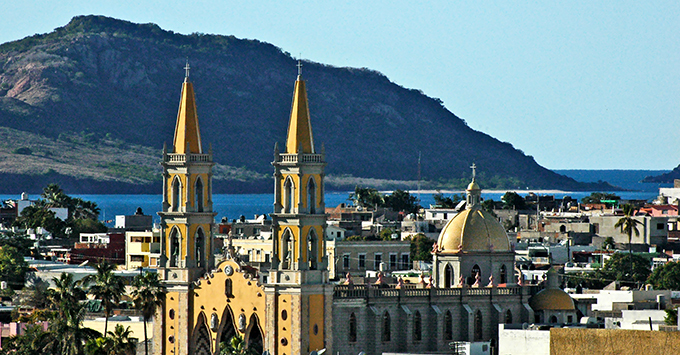 "By featuring up to three Mexican ports of call on one itinerary, our cruises offer a deeply comprehensive and immersive opportunity to become connected to the people and traditions of Mexico."